The man was dressed richly, the fabric of his clothes obviously expensive. He sat by the fireplace in the inn with a crowd gathered around him while he spun his tale. "I drew my sword as the bandits approached. 50 of them! Sword clashed against sword as man after man fell to my skill. They came at me from every direction, but not a one could come out of it alive!" His younger brother, Mark, stood at the bar and drained his ale. "This story gets longer every time he tells it," he muttered to the innkeeper. The story at the fire continued. 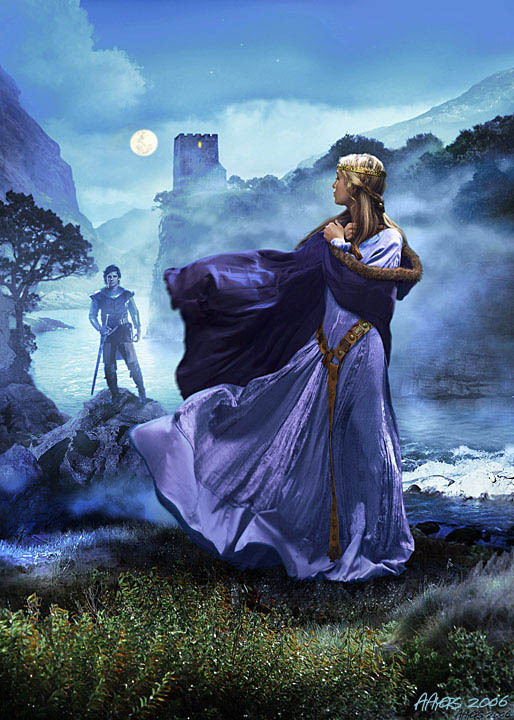 "The last man stabbed through the heart, I threw open the door of the carriage they had been robbing and found a beautiful princess with hair like gold and eyes as blue as the sea. 'My savior!' she exclaimed before she stood on her toes and bestowed me with a kiss. Of course, there were yet dragons to be slain, so I could not be waylaid, even by such a pretty lass, and I sent her on her way." Lord Maxim stood up from his seat by the fire. "And that is the story of the day I bested 50 bandits. Drinks all around!!" The inn burst out in cheers and applause. Mark smothered a smile and rolled his eyes at the ceiling. Mark shoved his older brother up onto his horse and they rode home to the manor. "You know, brother, I feel like I remember that story a little differently. As I recall, we were the ones in the carriage, the lass was the one doing the saving, the bandits were three, and she refused to succumb to your charms because you hadn't bathed in six days." Maxim glowered. "Um, shut up?" Mark chuckled. "You are the worst knight in shining armor ever."